Reasons for Fasting: Healing of neuropathy, fatigue, and heart problems. Intended Length of Fast: 30 days or how ever long it takes. Present Medical Problems: Fatigue, excess fluid around heart, sporadic tingling in mouth, eyes, head, shoulders, feet. Grape juice can be acidic long term on a fast. Mixing it with water can help if your stomach get sore. Do you have a juicer? Hi Tom, I know grape juice is acidid, especially once it’s been lacto-fermented, because the bacteria consume the sugar and turn it into acid. Which is helpful in one sense because my body would not be able to handle all the sugar in grape juice. I have tried that before and it wasn’t pretty! So in order to deal with the high acidity of the juice, I will be limiting my intake to around 2 quarts per day, and mixing it with water. In addition to that, I will be taking 1/4 tsp. of baking soda mixed w/ water to neutralize the acid level in my stomach. Baking soda is awesome for neutralizing acid fast, but it is salt so too much can be harmful so that’s why I am limiting it to a total of 2 tsp. per day, which is with-in the daily recommended amount. I do not have a juicer, my focus has been mainly on the science of lacto fermenting the juice prior to consuming, for the purpose of lowering sugar content of the juice, and destroying lectin proteins. I am on day 5 of 30 of a water and juice fast. 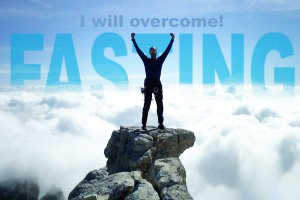 I pray you find the results you seek in better health through fasting. I haven’t started my fast yet, ran into some problems last week. I plan to start on 8/19! Hey Rose, good luck! I hope the fast is going good for you. Are you doing it for healing? Hey tiffany did you start your fast yet? Your statement above said 19th of august just curious as to how it’s going if you did..